LivelyLatin is systematic, thorough, and FUN!…but just don’t take our word for it. 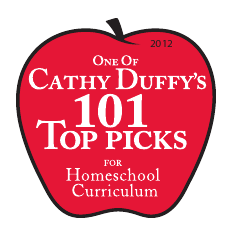 The BigBooks of LivelyLatin have the honor of being chosen as one of the 101 Top Picks for Homeschool Curriculum by Cathy Duffy, homeschool pioneer and curriculum expert. She says: In my opinion LivelyLatin lives up to its name. Even though the methodology is quite traditional, the mix of multi-sensory learning methods and the use of stories, games, and art should be more appealing to most students than most other options trying to cover comparable material. 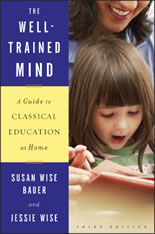 Susan Wise Bauer and Jesse Wise, authors of The Well-Trained Mind, Third Edition, the beloved manual of the classical homeschool movement, also recommend The BigBooks of LivelyLatin for beginning Latin instruction. I just wanted to tell you just how much we are enjoying the Big Book. L. (age 8) is really starting to grasp the concept of a derivative, and he’s starting to see them everywhere! This is exciting because it was the part he had the most trouble with for a long time. He calls himself the “Latin Master” and says “I love Latin” whenever it’s time for Latin. I have recommended your book to several friends and at least 2 switched from a previous curriculum, or began with BB – they tell me they love it too. We just love it and thank you very much for creating it. 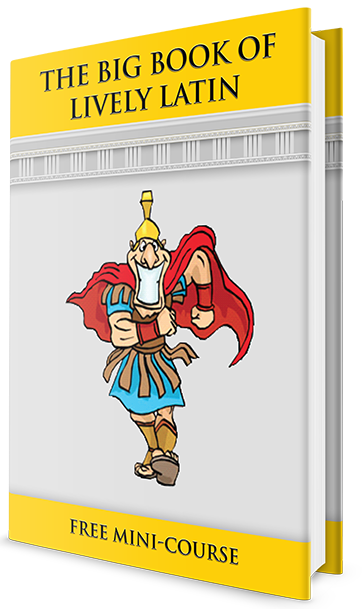 It is a fun and easy way for a child to learn Latin. My eldest always likes to read ahead to the history portions. Now I just need to wait until my younger 3 (6,5 and almost 4) are ready to learn Latin and I will get to do the whole thing again! (this time I will know a bit more though, which is the best part of Lively Latin. It is not necessary to know Latin first.). And I am learning English grammar (which I obviously missed in my PS education) too). I LOVE Lively Latin!!! We used some other curriculum about 1 1/2 years ago, and I appreciate how gently your program introduces Latin terminology. I’m learning Latin right along with my children and in the past was often confused with words like inflected, form, declensions, etc. Also, thank you for making ecclesiastical audio recordings. I prefer them simply for their beauty. I really like BB1. I love that it is so detailed and has the kids memorizing gender and all principal parts from the get-go. I love the option of the classical pronunciation, and I love all the exercise sheets. LivelyLatin is a Latin program developed by Latin teacher and homeschool parent. 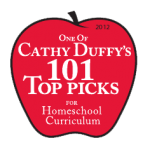 I heard so many personal recommendations from homeschoolers taking her classes that we decided to try her distance learning plans. This is essentially a Latin unit study, incorporating English and Latin grammar, English and Latin vocabulary /derivatives, cultural history and lots of activities. My kids find it a lot of fun, and I find it very substantial. I initially had concerns my youngest could keep up, as it is a worksheet based program. However, if I did much of the writing and she narrated, she was able to do this at age 7. It is the only worksheet-type curriculum I have ever successfully used, it is well designed. My kiddos continue to love Latin, thanks to you, and this has extended to an interest in all things Roman. I wanted to tell you that we are loving Lively Latin Book 1. My 5th grade daughter started it a couple of weeks ago, and we are finishing unit 5. She has had some Latin from another reputable curriculum so most has been review. I feel LL has been more thorough in teaching each concept than our previous curriculum; thus, I have more confidence that she is “getting it. I also appreciate the repetition the exercises provide. She is really enjoying it, and she can do the lessons all on her own. I am really enjoying using Lively Latin with my 10 yo son. He is learning so much & because it is a little at a time, he is retaining what he’s learned. The variety of exercises, grammar, Latin, history, etc. help to keep my son’s interest & vary the focus of our studies. Thank you for producing such a child-friendly curriculum. I wanted to tell you how much we love BB1! 🙂 We’ve moved pretty slowly through it (fits and starts) and we’ve got about 5 chapters to finish. However, that could take all summer, or 2 weeks. Some days he only wants to do Latin and we go a long way. I’m looking forward to BB2!!! I’ve told all my Latin teaching friends about your book. 🙂 It’s engaging, my 7 (just last week) yr old loves listening in. My 9 yr old likes to act out the vocabulary words. I’ve memorized all the words and chants myself. And we LOVE the history section. Live for it. 🙂 How much Latin we do on a day depends on how many history sections he wants to hear. Because we’ve stretched this out over so long I have to go back and review the history to remember it, but it sure is fun! Thanks Catherine! We have really loved the intro to Latin. This year we are gearing up to take the National Latin Exam in the spring. We are certainly well-prepared for the Latin I exam in March. I took a lot of Latin in H.S. and college. Your approach is gentle yet thorough. Another course that we are enjoying this year is Lively Latin’s Big Book of Latin. I think it is a great parts to whole Latin course. I am using it with my eleven year old son, but have decided that my fourteen year old daughter would benefit from it as well. She is doing Cambridge Latin (a whole to parts course), but I feel the simple and concise explanations found in Lively Latin are very helpful to an overall understanding of the Latin language. So, I added it to her schedule. We decided to teach Latin in our homeschool because it is difficult to teach a living language without a native speaker exposing the children to conversational language on a daily basis. If my children want to learn a living language, I think Latin will give them a foundation that will make it easier to aquire other languages. Also, there are so many great Latin courses for homeschoolers and so few courses for living languages that are effective and appropriately priced. Also, Charlotte Mason believed every child should know Latin. Last but not least, my son wants to learn Latin because he wants to be a scientist and believes Latin would be the most helpful. Thus, we are pursuing Latin as our foreign language. However, I’m not beginning my children until sixth grade as there are so many other things to learn before sixth grade that are more important, and a sixth grader is more independent with every other subject, so that makes it easier on mom. I like Lively Latin’s approach because it really explains some of the most basic things, such as gender, declensions, inflection and endings in a way that is easy to understand. The program is not teacher intensive, although I stay involved because I’m learning along with him. Each lesson has a set of vocabulary words that are to be put on index cards and memorized, along with its gender, a set of chants that include declension endings which can be heard on the website so you know that are pronouncing them accurately, as well as a whole series of exercises, history lessons and picture studies. The website also has online games for each lesson to help the kids learn their vocabulary or whatever new material is being presented. There are 15 lessons, each one quite lengthy, colorful and well organized. Lesson 1 begins with an explanation of nouns, an explanation of gender, a set of vocabulary words, the first declension chants and lots of exercises to get the kids familiar with the vocabulary and the first declension, as well as a history lesson on the origin of Rome . Lesson 2 goes into the cases (Genitive, etc. ), by lesson 4, they are learning verbs and reading short Latin phrases, by lesson 8, they are writing their own Latin sentences and by Lesson 13, they are translating very short stories. I think it’s a great progression for a beginner Latin course using the parts to whole method. www.JeannieFulbright.com. Jeannie Fulbright is the author of Apologia’s elementary science curriculum.